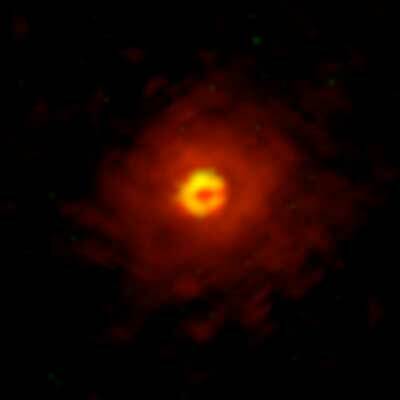 (Nanowerk News) Stars like our Sun eject large amounts of gas and dust into space, containing various elements and compounds. Asymptotic giant branch -- AGB -- phase stars, near their end of life, are particularly significant sources of such substances in our galaxy. In a paper published in Science Advances ("Dust formation and wind acceleration around the aluminum oxide–rich AGB star W Hydrae"), a research team led by Aki Takigawa of Kyoto University have utilized the Atacama Large Millimeter/submillimeter Array -- ALMA, as the high spatial-resolution radio interferometer in Chile is known -- to obtain detailed images of gas molecules forming dust surrounding an AGB star.